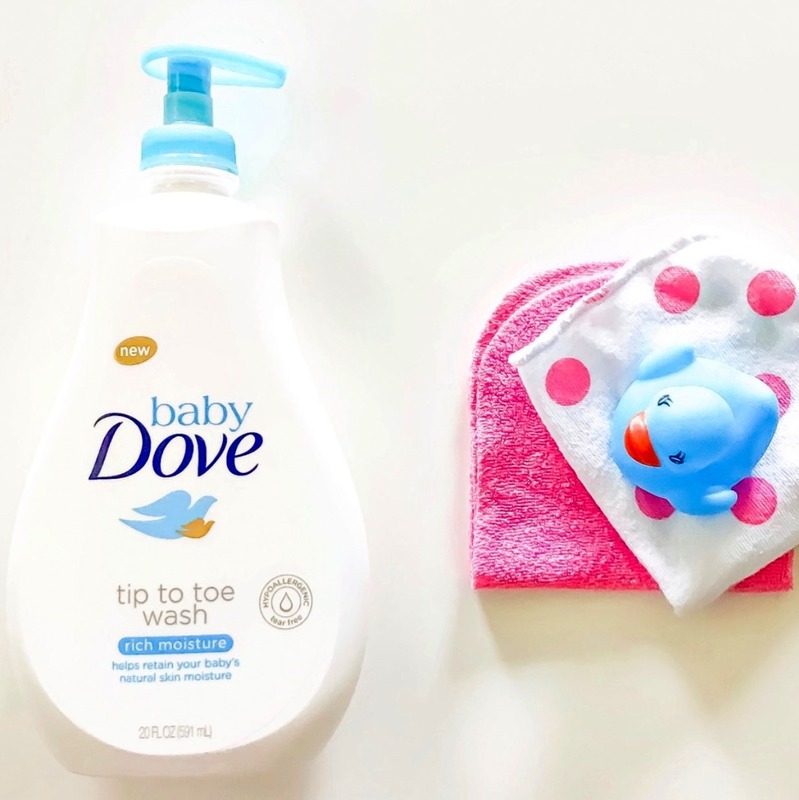 Werk It Momma: RUB A DUB DOVE! So as I was shopping for baby wash in Wal-Mart recently I discovered that Dove makes a wash for babies. I found this quite interesting as I personally use and love Dove body wash so I decided to give it a try. Of course I was a bit skeptic about using a new baby product on the market but I personally use Dove body wash on a regular basis. I buy it for Addie as well so why not have little miss Aria in on the dove wash! Ha! The fellas use Axe and Old spice body wash. Aria's skin is especially dry and so far the dove has worked great. It did not dry her skin out any more than any other wash I've used on her. In fact, I think it's had the best affect on her skin thus far and the fragrance is just yummy! Now, you may have noticed that this little girl was graciously blessed with a head full of thick (voluminous) hair! My goodness I love it but...Aria does not like me touching her hair. She will try to walk away from me the minute I pick up her brush. Truth is, doing Aria's hair is indeed a disastrous event. By the time that we are finished we have baby ponytail holders spewed across the floor along with any and all snacks that I've tried to bribe her with. We won't even speak on the sobbing that ensues automatically as soon as the baby bush embraces those curls. I noticed that Dove has a specific wash for hair but I didn't purchase it simply because the product wash new to me. As you can see I used the baby wash on her hair as well. I honestly can't tell any difference there as both of my girls hair have to be moisturized immediately after bath. 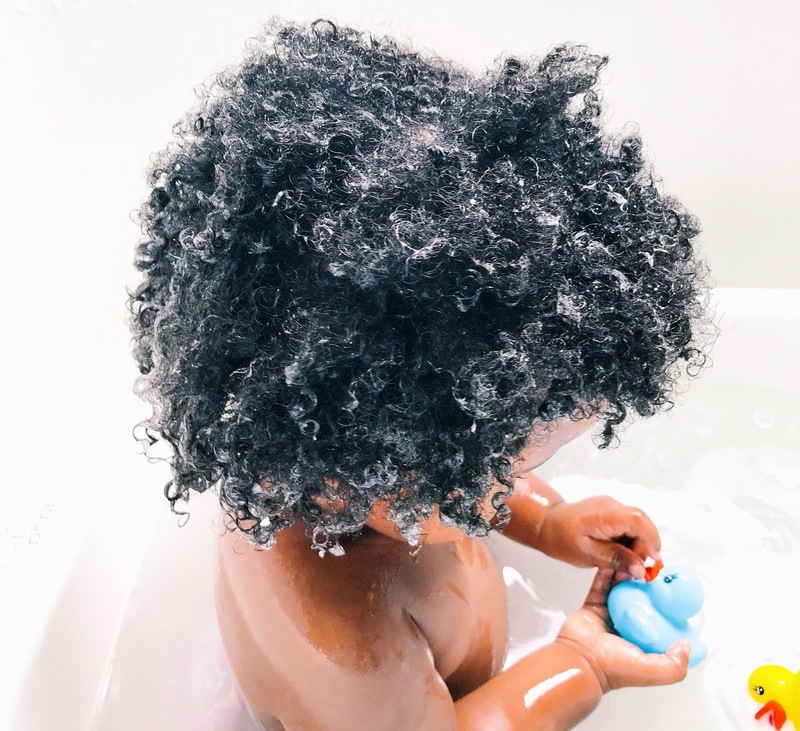 I would love to know what other moms have used on their fro babies hair! Dove is our go to wash as of now and if anything changes I will be sure to update. Thanks for stopping by.